Garlic can be planted from large or small cloves, solid bulbs called “rounds” that didn't form cloves or from small bulblets (corms) that form around the bases of bulbs. Some cultivars form seeds in the seed heads that can also be used to grow new plants. Planting garlic is something I strongly recommend for everyone. It’s an easy plant to grow and has many uses. This link is an update to the information in my Herb Book. 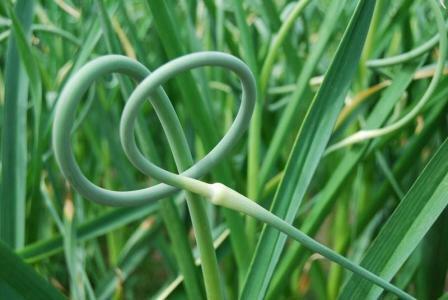 Garlic should be planted even by people who can’t or don’t eat it because of its natural pesticide uses. 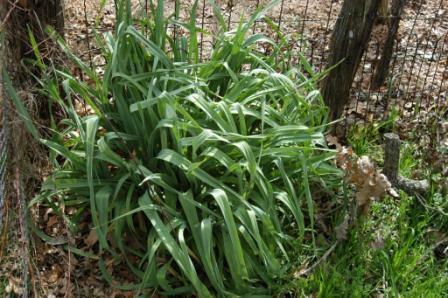 Read more on Garlic at the following Links: Garlic Plant, Garlic Beneficial, Garlic in Socks Experiment, Garlic Pepper Tea Recipe. 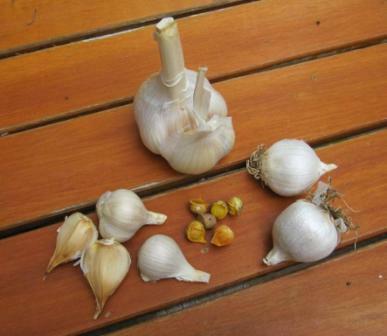 A good source of quality garlic is Gourmet Garlic Gardens Website. If you have any questions on this newsletter or any other topic, tune in Sunday 8am -11am (CST) to the Dirt Doctor Radio Show. The phone number for the show is 1-866-444-3478. Listen on the internet or find a station in your area. Organic Club of America Members can log in on Sunday mornings to see the Dirt Doctor's Live Broadcast.